The convenient 5 x 7 size and multiple pockets provide for many different uses. There are clear windows on each side; one for an ID and one for a PDA. 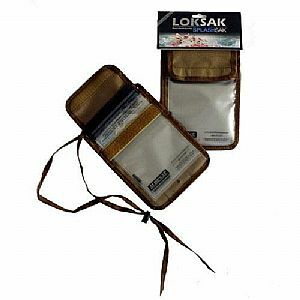 The PDA can be used while protected in an Aloksak pouch, and the additional slots can be used for business cards and pens. Two, 4.5 x 7 Aloksak pouches are included.